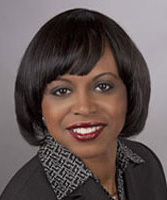 Debora served as our Executive Director from September 2012 to January 2017. Her leadership laid the groundwork for our Leadership Team and chapters to chart a course for sustainability in 2017 and beyond. Dr. Jackson continues to serve our mission as our contracted leader of small clergy groups funded by a recent grant. Dr. Jackson is the author of the Judson Press book The 7Rs of Sanctuary: A Pastor's Guide to Leadership Effectiveness and Spiritual Wellbeing. 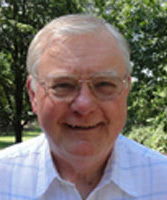 Joe served as our Executive Director from September 2008 to September 2012. He also served as a pastor of five congregations over a span of 39 years in New Jersey, Michigan, and Kansas. During the course of his pastoral ministry, he served in a variety of regional and denominational roles including work with both the national and regional Ministers Councils. He “retired” from First Baptist Church of Topeka, Kansas to accept an invitation to serve first as the "Acting Director" and then the "Director" of the Ministers Council, ABC-USA. As the Director, he continued to administer, with the brilliant assistance of Sue Sechrist, Together in Ministry (TIM) initiated by the good work of Kate Harvey Jacobs. In his opinion, the ten years of TIM provided the finest opportunity for clergy wholeness and productivity, perhaps in the history of denominational life. Kate served as our Executive Director from July 1995 to September 2008. 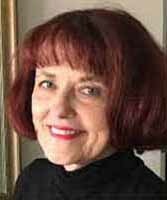 Altogether, Kate served 30 years in ministry with the American Baptist Churches USA, first in pastoring congregations and then completing her work as Executive Director of the Ministers Council from 1995 to 2008. During that time Kate secured for the Ministers Council two grants totaling nearly $3 million from the Lilly Endowment to fund Together in Ministry. TIM included a web of collegial covenant groups to connect, resource and strengthen pastoral leaders, as well as biennial conferences for pastoral leaders. In 1934, the Committee on the Ministry of the Northern Baptist Convention met with representatives of the Board of Education and The Ministers and Missionaries Benefit Board. They presented recommendations for the formation of a “Ministers and Missionaries Council” for the purpose of fostering fellowship and the enrichment of ministry. Efforts immediately began to formulate a strategy for the creation of a council at the next annual convention to be held in 1935 at Colorado Springs. In support of these efforts, the Ministers and Missionaries Benefit Board voted to provide up to $1,000 in “working capital” in June 1935 as the “Committee of Nine” worked to develop the detailed plan for a Ministers Council. In preparation for the 1935 annual convention in Colorado Springs, the "Committee of Nine" conducted an extensive publicity campaign to inform the constituency and create a heightened sense of awareness for pastors regarding the nature and purpose of the proposed Council. A number of articles written by R.G. Schell, highlighted the need to find new and positive ways to aide the clergy in their tasks and to constructively deal with several problems confronting the denomination at that time: the placement of clergy, educational standards for ordination, standards for the recognition of clergy within our denomination, etc. To avoid confusion with The Ministers and Missionaries Benefit Board. Mr. Schell that the name of the council be the “Ministers Council of the Northern Baptist Convention.” Hence, our name carries on to this day with the only change being in the name of our denomination. With the full support of The Ministers and Missionaries Benefit Board and with the hard work of the "Committee of Nine," over 1,000 applications for membership in the Ministers Council were received prior to the opening of the convention in Colorado Springs. On June 19, 1935, the Ministers Council was officially born with the adoption of the proposed constitution. Within eight months of its “birth,” the membership of the Council had almost doubled to over 1800 members. From these beginnings, the Ministers Council continues with that initial purpose in tact. 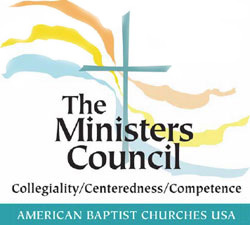 The Ministers Council is the only organization in the ABCUSA which is solely dedicated to supporting and advocating for our ministerial leaders.